Product Description: 17-Inch Reversible Seasoned Cast Iron Griddle - GL10494S. 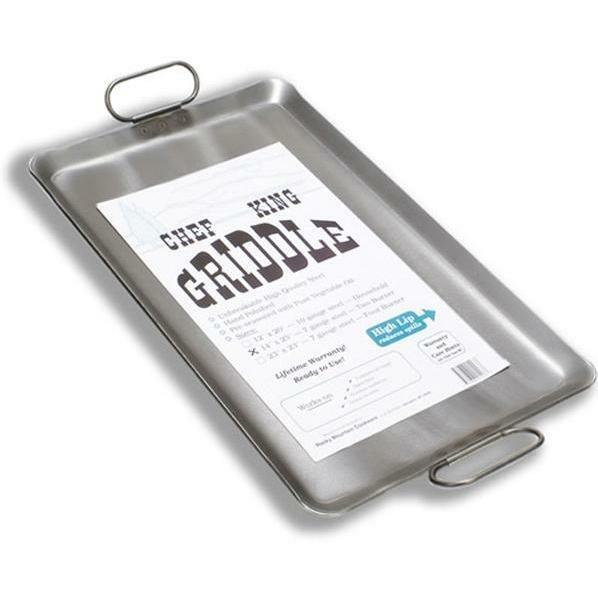 This Cajun Cookware griddle is made of cast iron and measures 19 7/8 inches wide (including handles) x 8 15/16 inches deep. 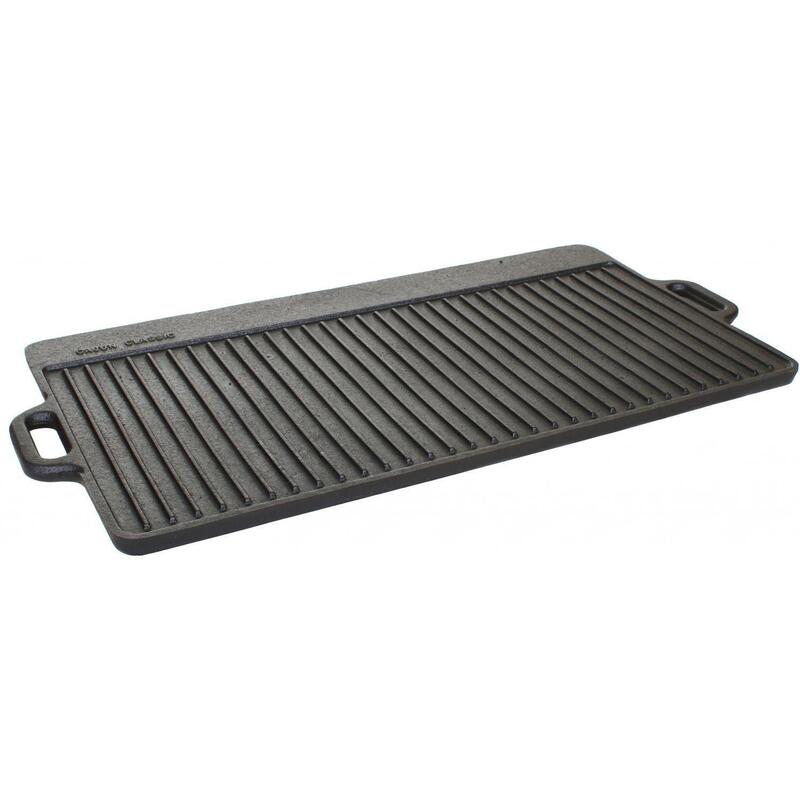 The reversible cooking surface of the cast iron griddle is 15 7/8 inches wide x 8 3/8 inches deep. 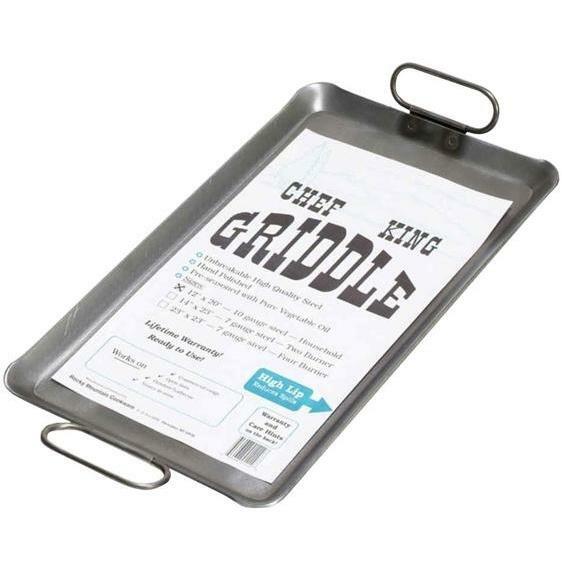 Features a smooth griddle side, and a raised grill side. This Cajun Cookware cast iron cookware is pre-seasoned to perfection and ready for use. Cast iron cookware makes for superior heat retention, even heating of foods and provides nutritional iron intake. Heavy-Duty and durable, designed to last for years. Hand wash with stiff brush and hot water.